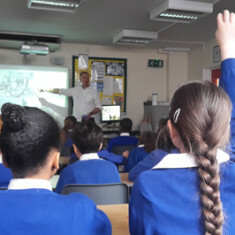 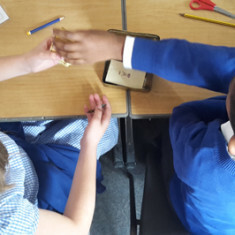 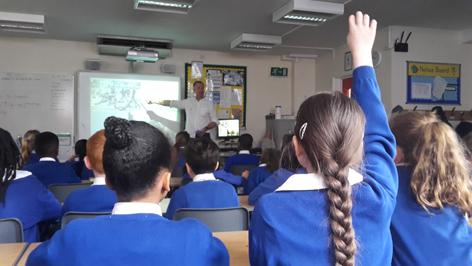 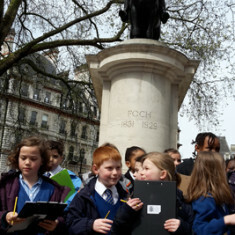 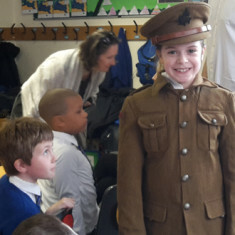 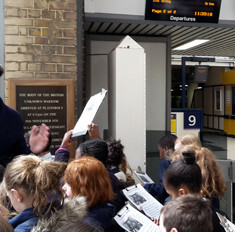 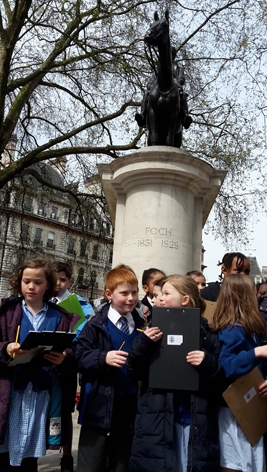 We’ve had such an eventful spring as we launched into the third year of the Playing the Game World War One project and we are delighted that more schools are now taking part, especially as 2016 marks the centenary of the Battle of Somme and we have so many activities happening throughout the year to commemorate this. 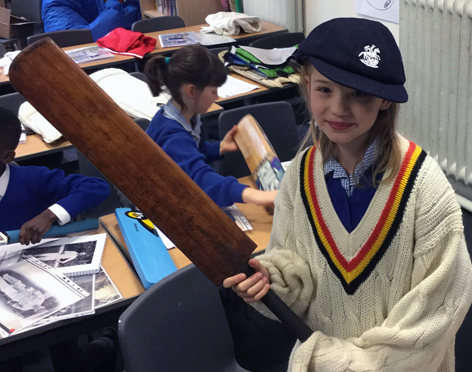 Throughout April Peter Daniel visited schools to lead outreach sessions focusing on the story of cricketer Major Booth, who served as Second Lieutenant in France and who died on the 1st July 1916 (the opening day of the Somme offensive). 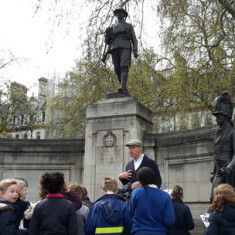 Here are some pictures of the sessions including visits to local war memorials in Victoria. 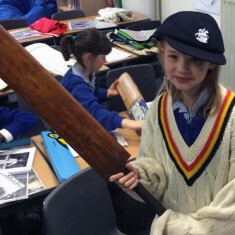 Pupils were able to handle artefacts from WW1. 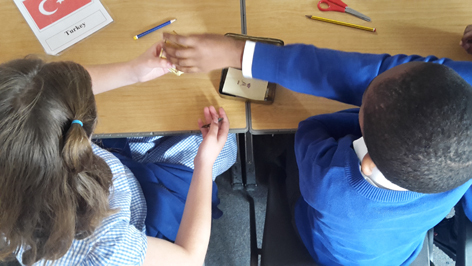 The artefacts included buckles from German soldiers – these buckles say ‘Gott Mitt Uns’ meaning ‘God is with us’. 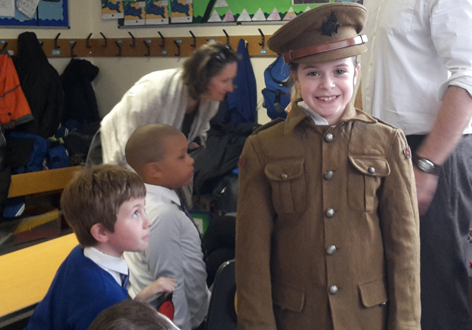 Other items were cap badges, Princess Mary tins that were give out to help boost the moral of the soldiers. 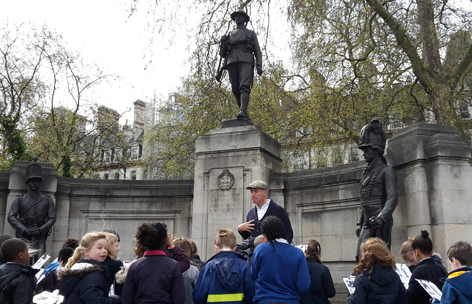 After the artefact sessions we walked around Victoria to visit the many war memorials. 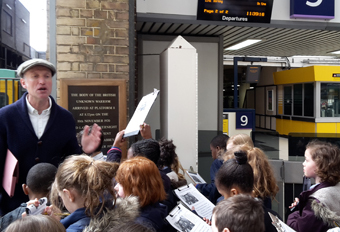 This included a visit to Victoria Station to see the memorial for the Unknown Warrior who arrived in Victoria on the 10 November 1910, 2 years after the war had ended, and was laid to rest amongst Kings and Queens in Westminster Abbey.